Finding the perfect wedding photographer is sort of finding that special someone you're marrying...all over again! (Okay...not quite...). But think about it, after the speeches have been spoken, the venue has been cleaned up and you and your partner are off on your honeymoon...what will be left of that magical day? Memories of course...and the photos that perfectly encapsulate the happiness that was felt by all! Over the course of the next few weeks, we at Nirvana Photography Studios will give you our tips and tricks that we've gathered while working with hundreds of couples for their weddings, as well as via our friends in the industry! This week we'll introduce you into the world of wedding photography, and discuss what makes a positive and magical experience. In Week 2, we'll talk about discovering your personal taste in wedding photography, how to find out what you want, and the resources to begin your search for finding a photographer. In Week 3, we'll talk about meeting with potential photographers, what questions to ask, what to look for, and also combining all of these interviews and knowledge into choosing the photographer that checks all of those things off your list! What are the chances of those two being photographers, falling on love, getting a cat, and getting married? Well, it happened. Neither Maik (the German, in case you are wondering) and Nirvana (the Fijian) were photographing weddings, and - to be honest - we never thought we would end up in this industry. Advertising and fashion was our thing. Then.... we were both forced to look for wedding photographers ourselves. Oh my! What a nightmare! Granted, we were probably not the easiest customers (go figure), but we learned a lot(!) in the process, and thought to ourselves; "We can do better - MUCH better". Nirvana Photography Studio was born, and we promised to ourselves that we will never satisfy the masses. 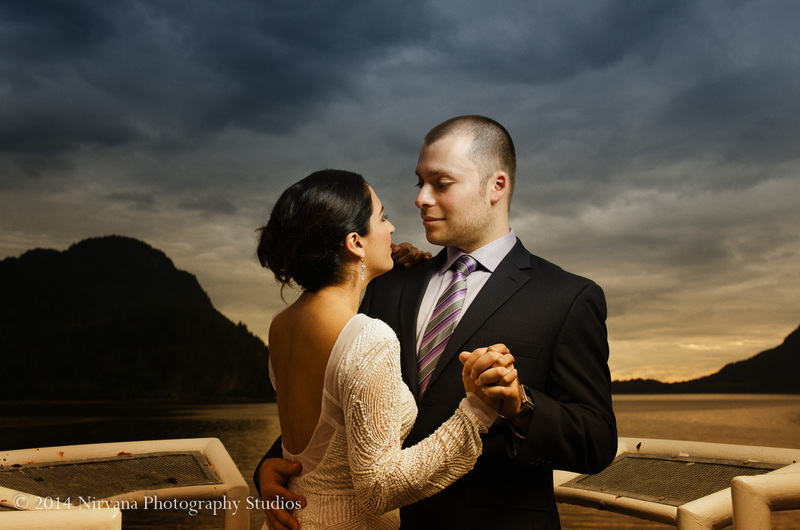 We will satisfy the select few who value photography, and want to work with true professionals to create... magic. Something different from what has been done before. And you know what? We are loving every moment of it, and we are asking ourselves "why didn't we do this earlier?". We met amazing couples, many of which are still our friends today. Our lives changed forever when our first son, Tobias, was born, but photography remains the greatest passion in our lives. A note: Don't worry, we won't be shoving self promotion in your face throughout this guide. Obviously we would be honored to be considered to be a part of your special day, but what's important to find out is what's right for you as a couple!